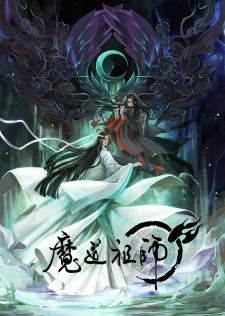 Plot Summary: As the grandmaster who founded the Demonic Sect, Wei Wuxian roamed the world in his wanton ways, hated by millions for the chaos he created. In the end, he was backstabbed by his dearest shidi and killed by powerful clans that combined to overpower him. He incarnates into the body of a lunatic who was abandoned by his clan and is later, unwillingly, taken away by a famous cultivator among the clans—Lan Wangji, his archenemy. This marks the start of a thrilling yet hilarious journey of attacking monsters, solving mysteries, and raising children. From the mutual flirtation along the way, Wei Wuxian slowly realizes that Lan Wangji, a seemingly haughty and indifferent poker-face, holds more feelings for Wei Wuxian than he is letting on.